Have been hearing people talking about MAIU, and saw few blogs on this. Most of the people claiming that is a worth and recommended place if you looking for Japanese food. I was looking forward to try it out as i'm a big Japanese food fans. Friends was planning a surprises birthday gathering for me at MAIU. I was happy and excited as at last I got chance to try it out. However, we are all disappointed with it. a bit pack. too many tables & chairs in a small restaurant. Unlimited order from menu. Food not as that fresh. Overall, none of the dish here able to impressed us nor we able to give it a thumb. 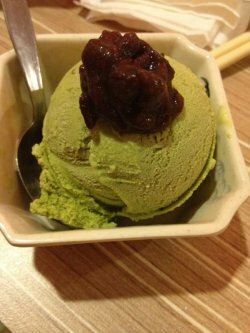 The only things that we repeat ordering is the green tea and ice-cream. Guess here is only for those for looks for quantity > quality. Don't think we will go back again. (Perhaps the main chef was absence on that day?